Kathleen Jones, Pam Broadhead, Pam Scott, Susannah Marshal, Audrey Wharmby, Sue Whitehead, Win Whitehead, Linda Wilson. John Hawtin, David Hilder, Peter Jeffery, Sid Pearson, Alan Parr. 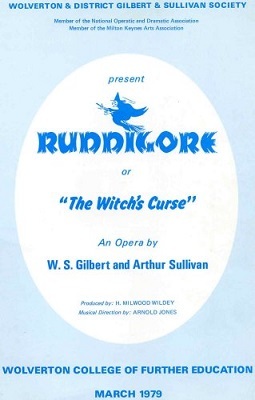 For more information on Ruddigore click here.